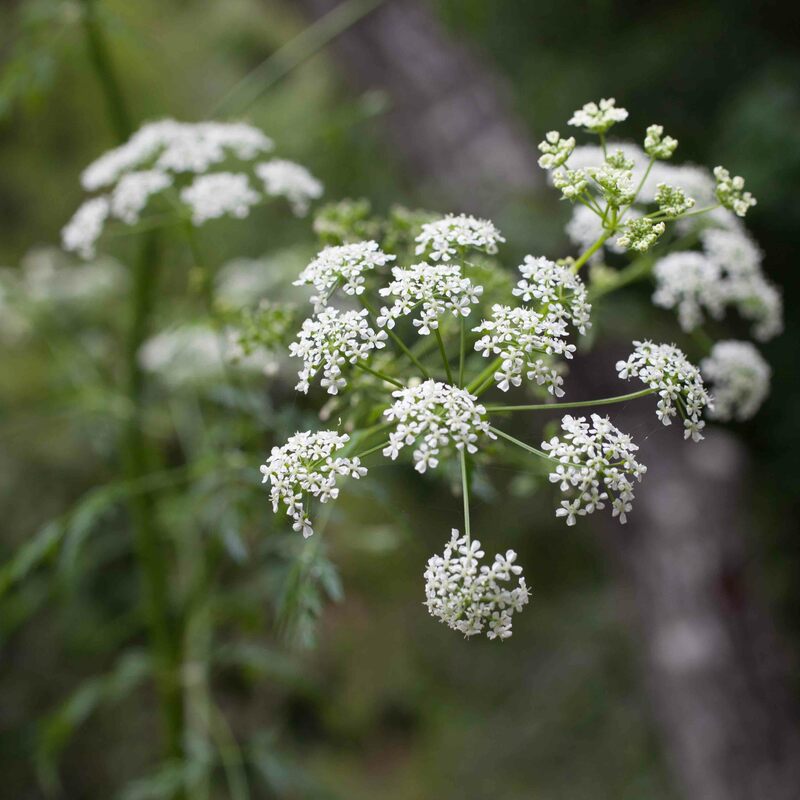 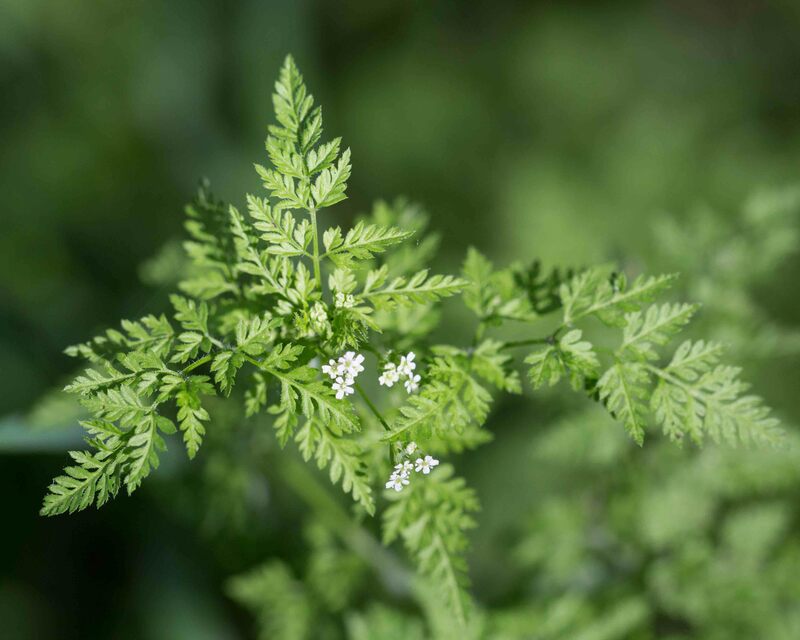 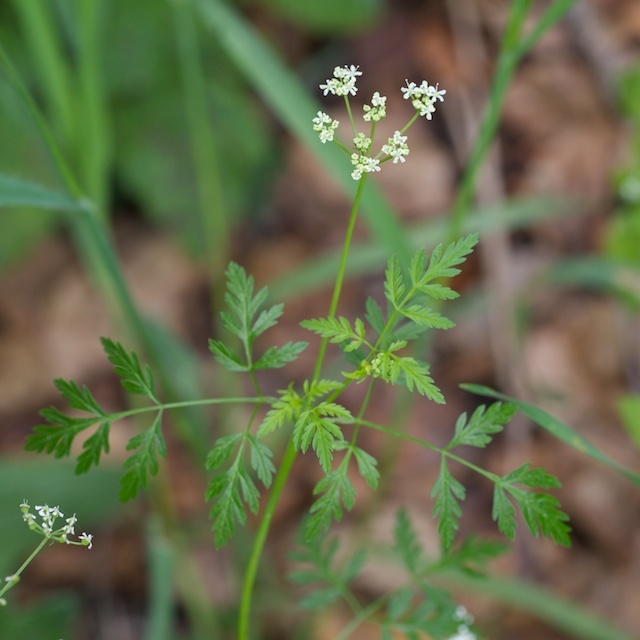 Can be mistaken for Poison Hemlock, but smaller, with more feathery leaves, and without the red blotches on the stems. 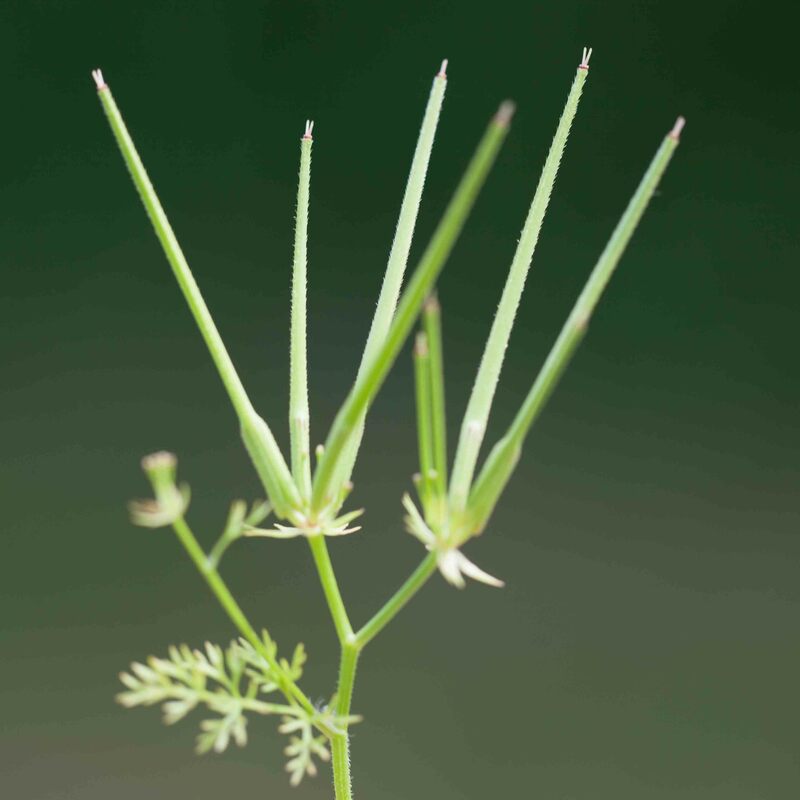 Note the ovoid fruit which have a beak about 1/3 of the body length and small hooks which give the plant its common name. 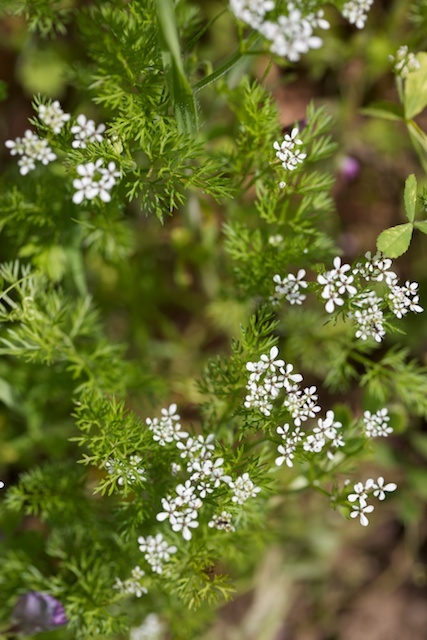 Easily confused with Bur Chervil. 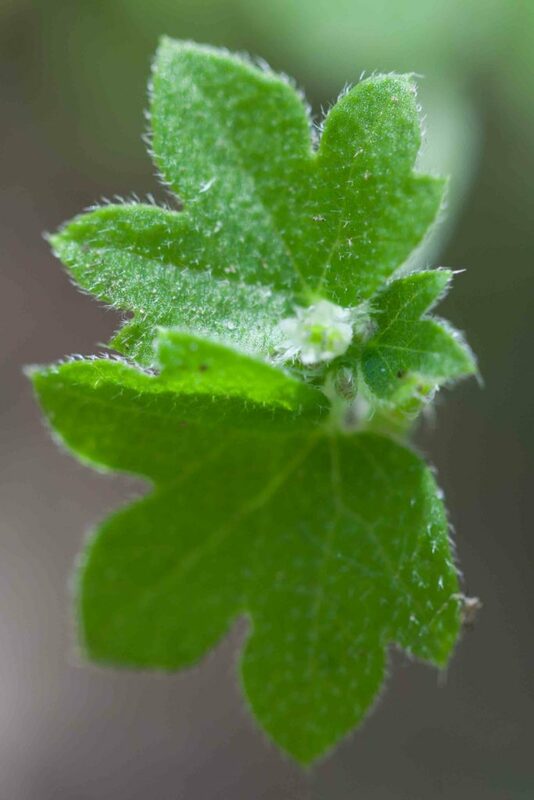 Its leaves tend to be narrower, the inflorescence is smaller and the flowers can sometimes be pinkish and the hairs on the fruits are noticeably longer on one side of the fruit. 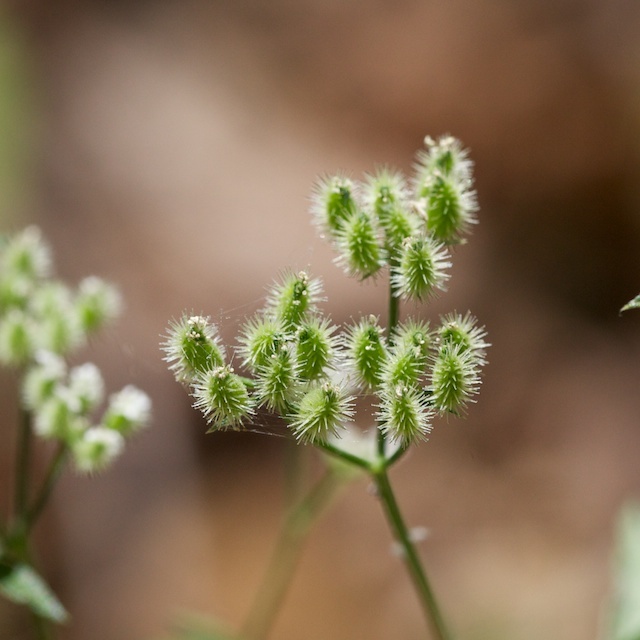 Sometimes known — for good reason — as Tall Sock Destroyer. 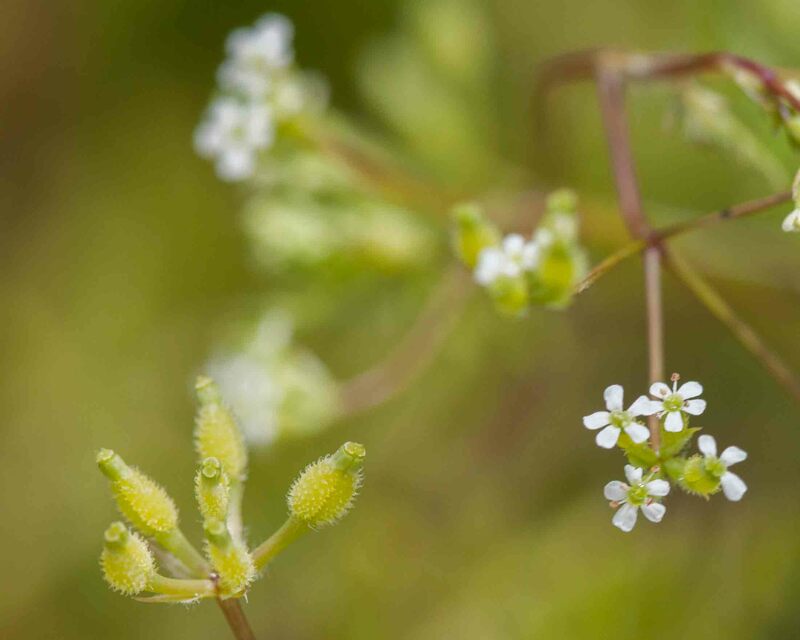 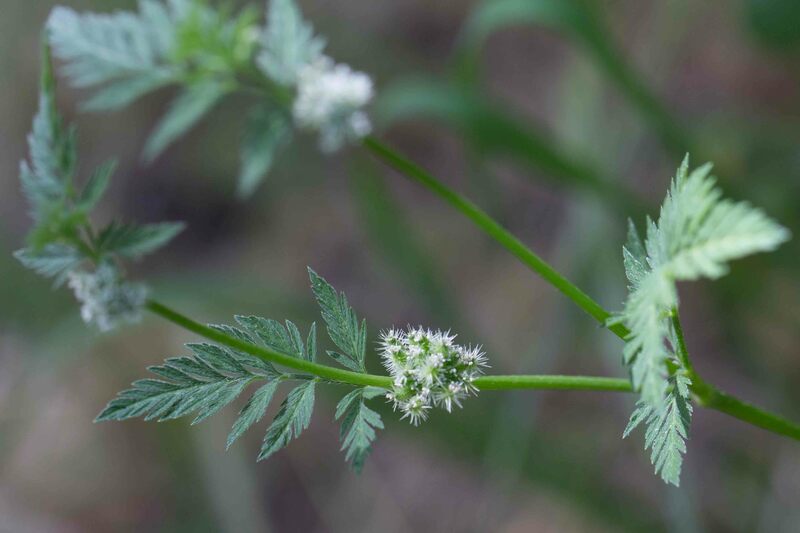 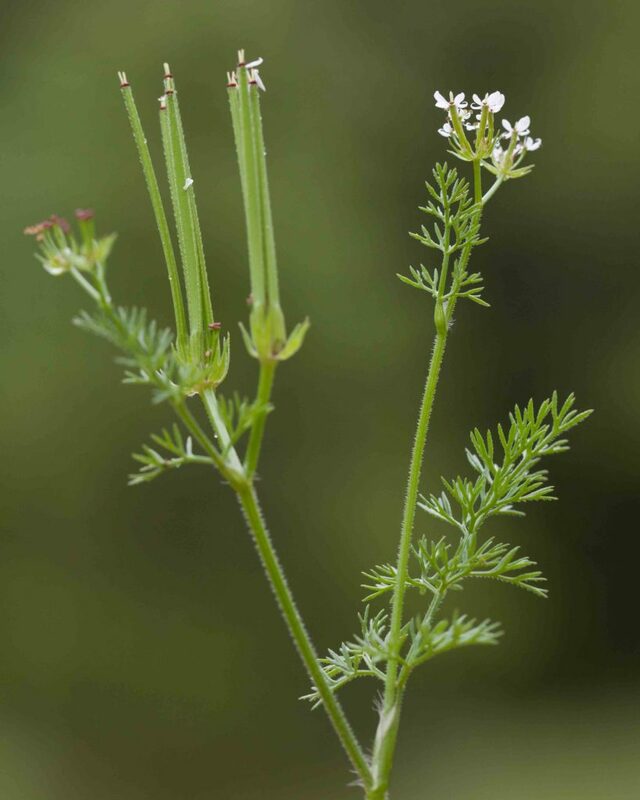 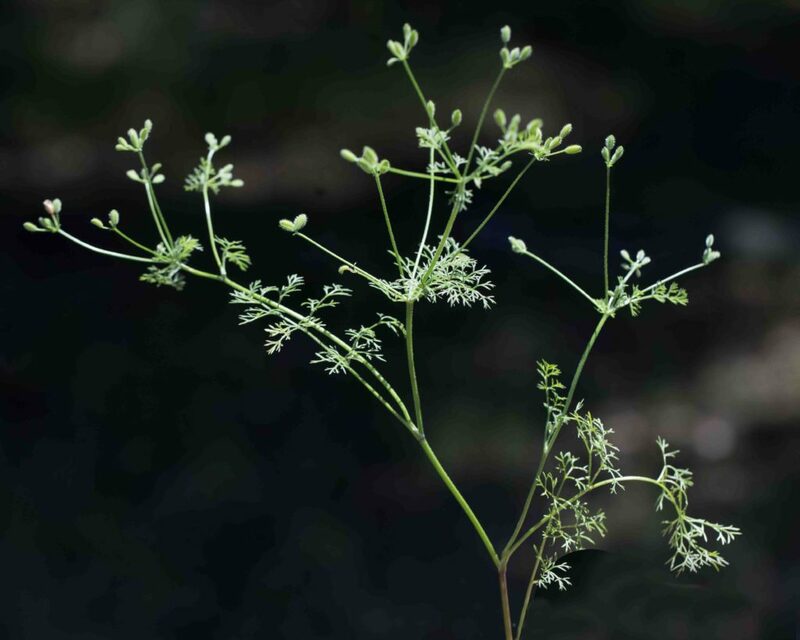 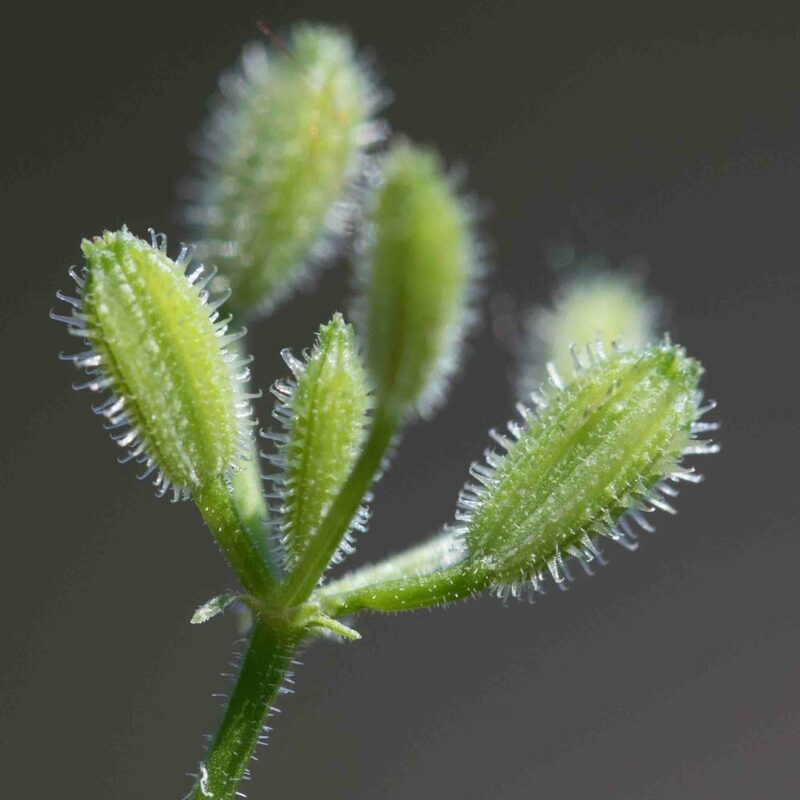 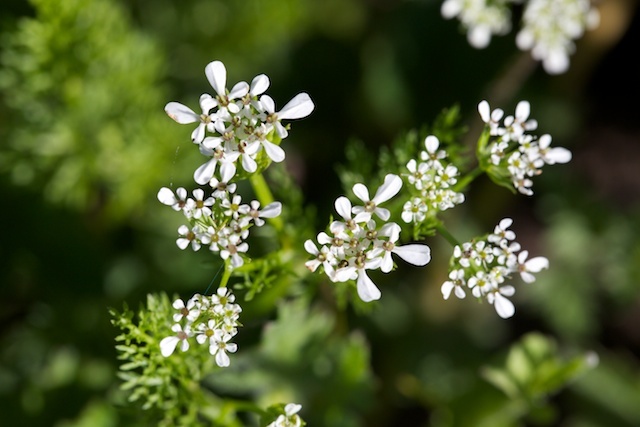 The plant is similar in appearance to the Field Hedge-parsley but the inflorescence appears in sessile clusters in the nodes of the stems and the fruits are bristly on only one side, the other side being smooth or pimply. 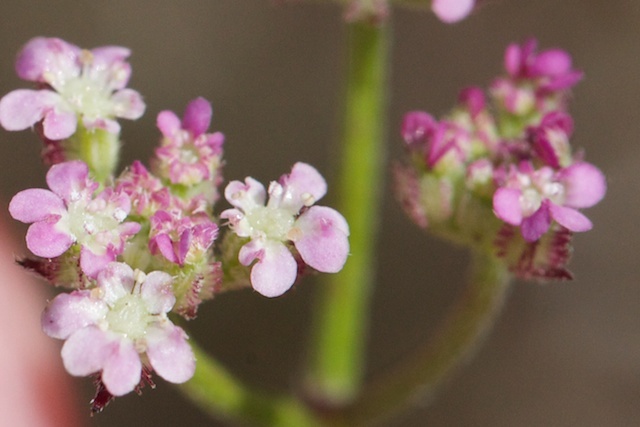 Sometimes known as “Short Sock Destroyer”. 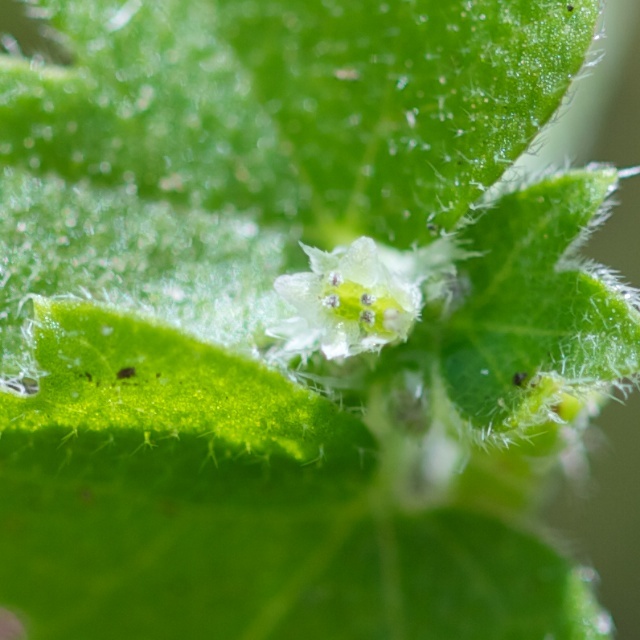 Seemingly much less common than the two non-native Hedge-parsleys (Torilis sp.) 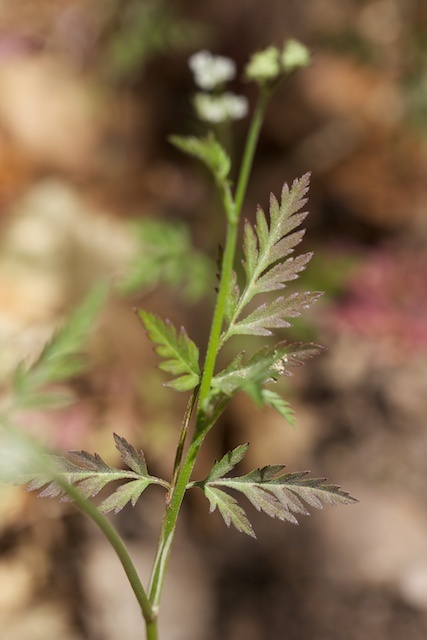 and easily overlooked. 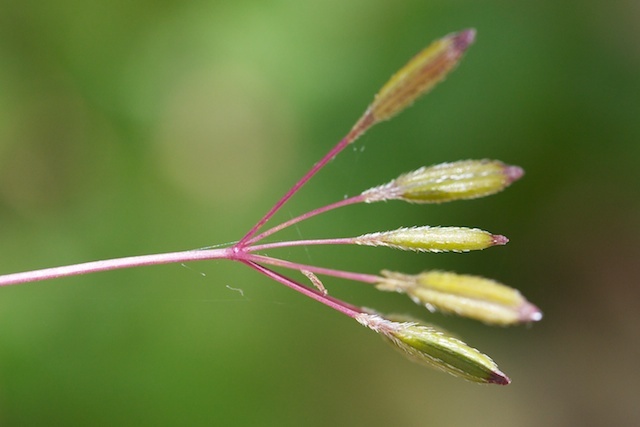 It is identified by its thread-like to linear, pinnately dissected leaves and its oblong fruits, slightly flattened front to back with hooks similar to those of the non-native Hedge-parsleys. 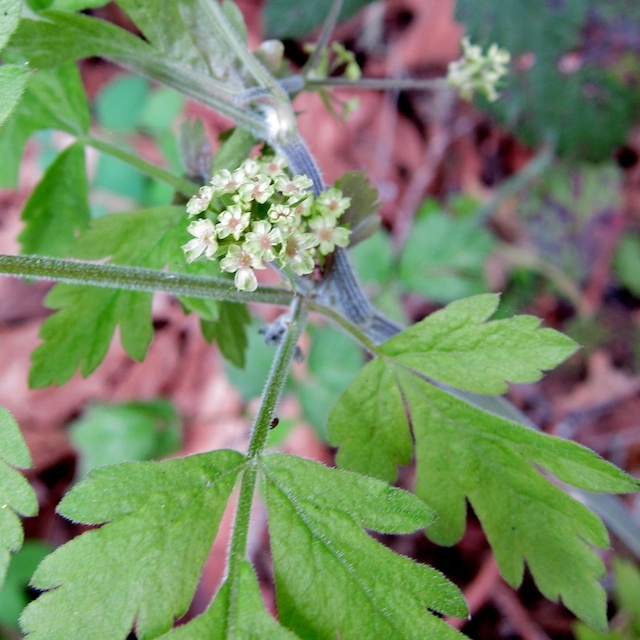 The finely-dissected parsley-like leaves are distinctive. 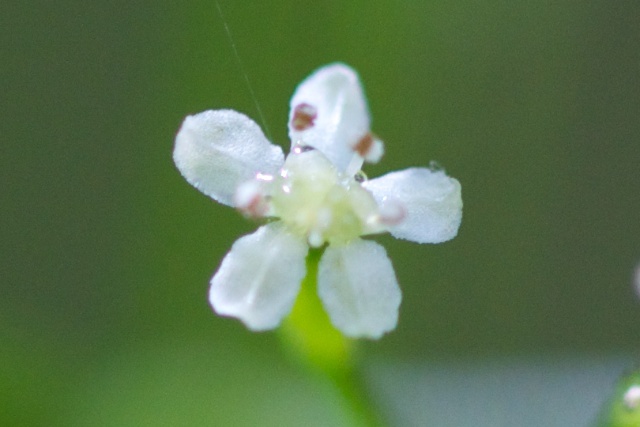 Note the asymmetrical flowers with the longer outward-facing petal, and the long fruits which give the plant its common name. 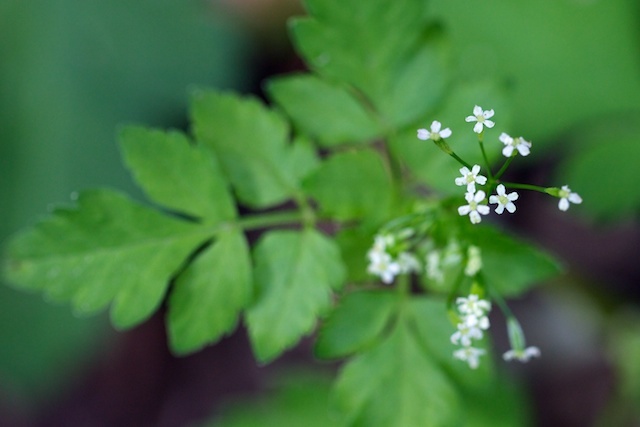 Very common shade-loving plant which produces a loose umbel of tiny white flowers. 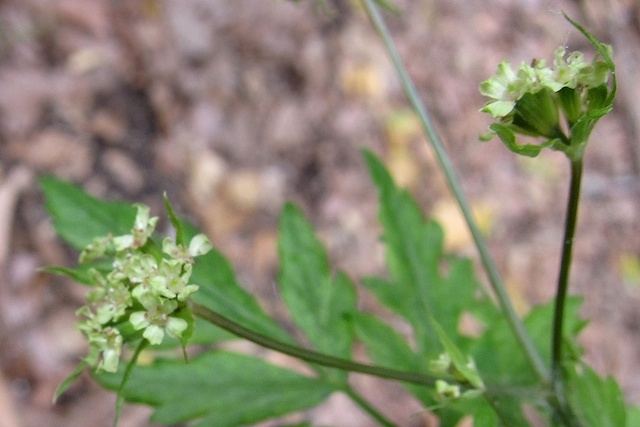 Note that there are no bractlets at the base of the flowers/fruits and that the fruits each have a long pedicel. 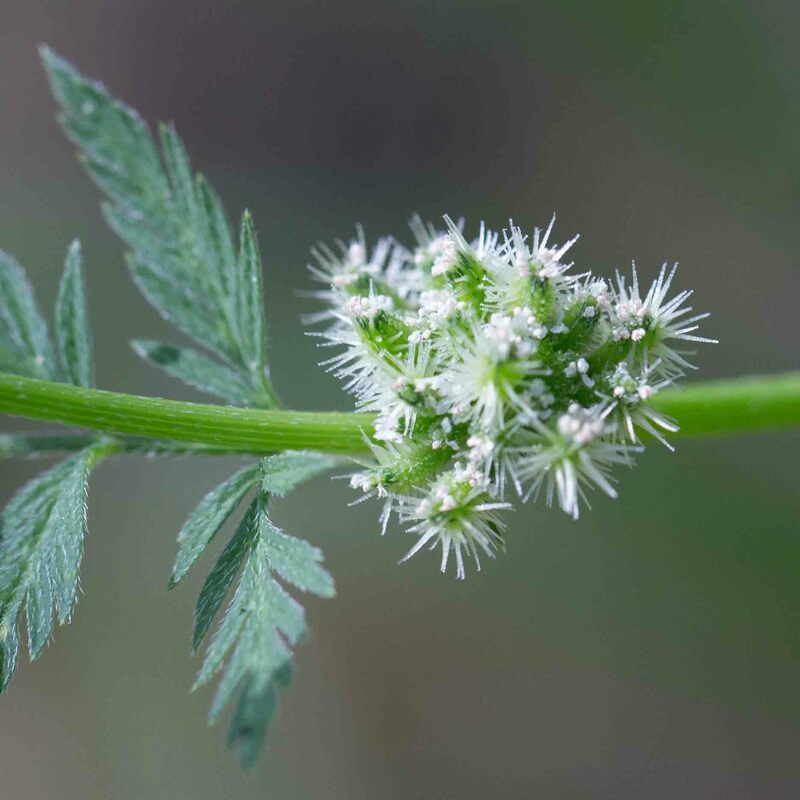 Less common than the Wood Sweet Cicely. 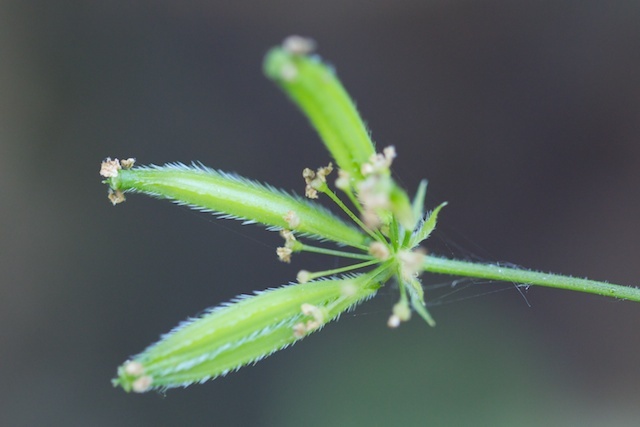 The flowers are greenish-yellow subtended by noticeable bracts which remain when the fruits develop. 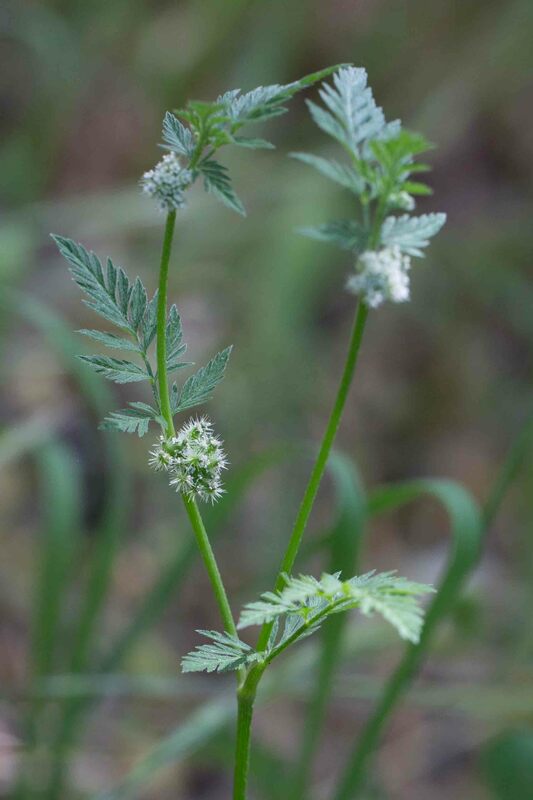 Note that the pedicels of the fruits are very short and that the fruits themselves are shorter and fatter than those of the Wood Sweet Cicely. 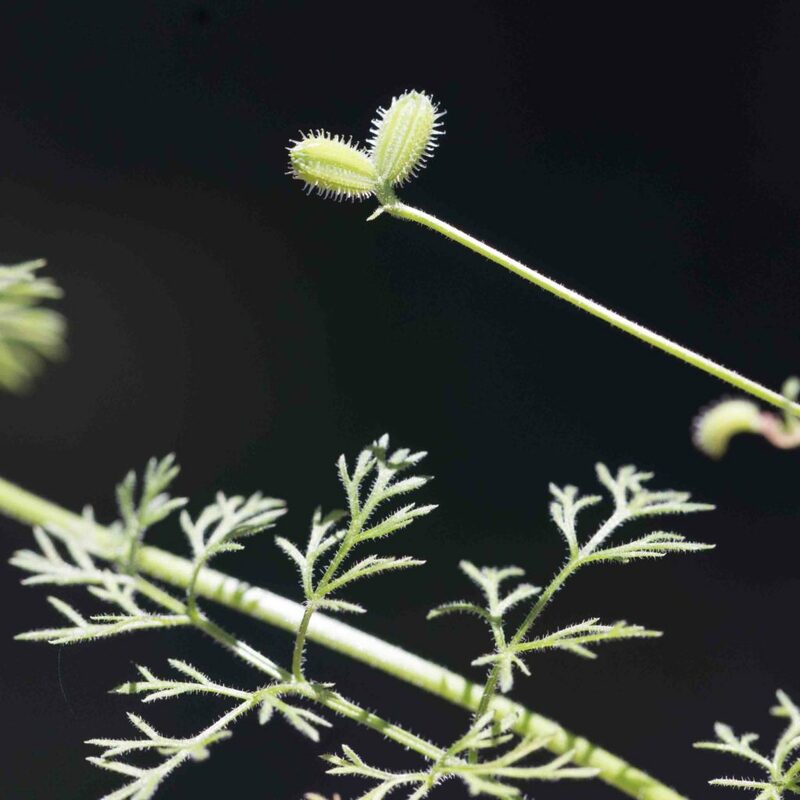 A seriously inconspicuous plant. 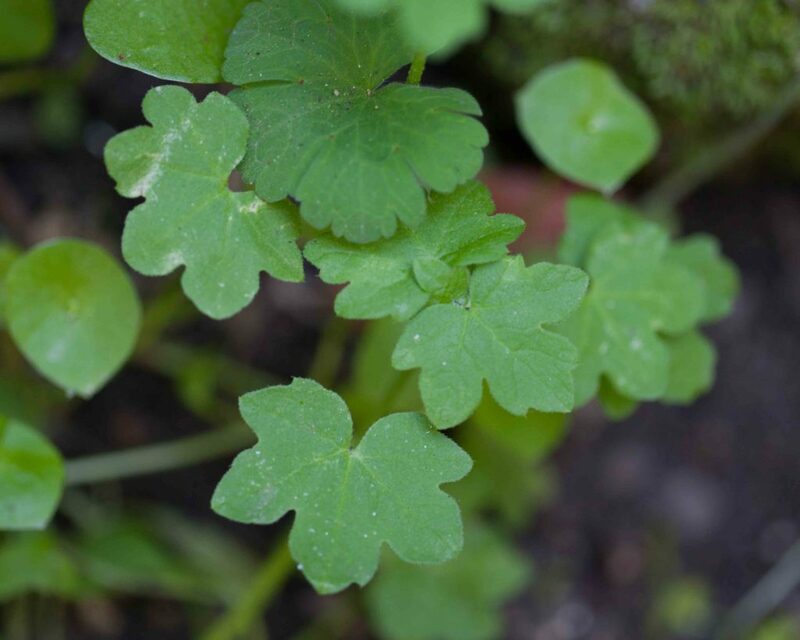 Very small with tiny flowers but distinctive, slightly geranium-like leaves and weak trailing stems. 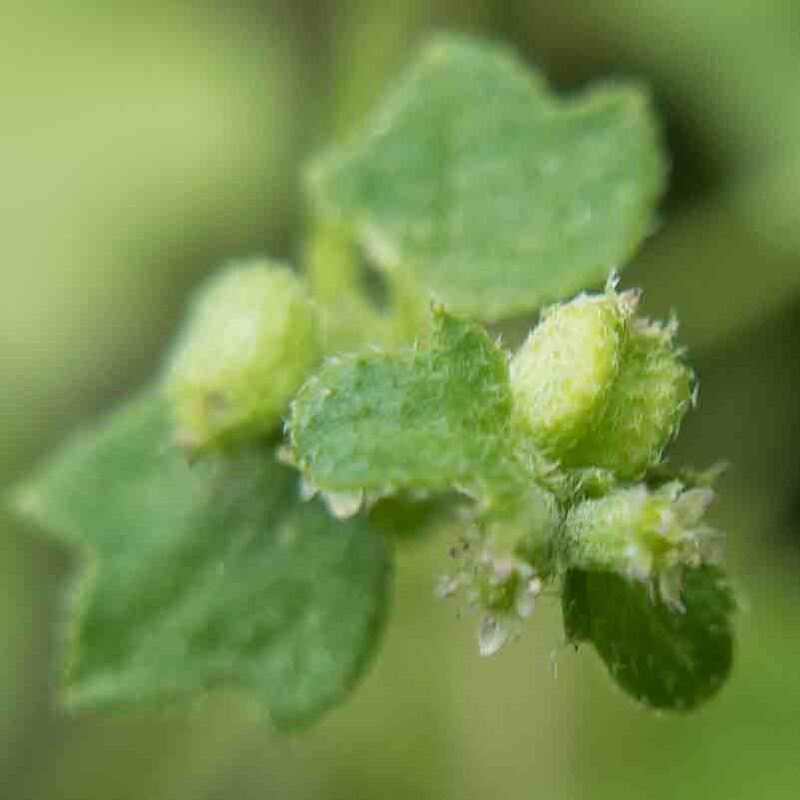 Fruits are up to 2 mm across, ovoid to spheric and inflated.